American citizens living abroad face many complicated investing and compliance issues. Careful attention must be paid to their selection of investments, filing a U.S. expat tax return, dealing with the Foreign Account Tax Compliance Act (FATCA), and understanding country of residence tax rules. Savvy American expat investors ultimately realize that building wealth through U.S. financial institutions is the most tax compliant solution. Unfortunately, many traditional U.S. brokerage firms and banks are restricting the financial accounts of American expats with permanent residence in another country. Firms such as Morgan Stanley, Merrill Lynch, and UBS are restricting business with American expat clients1. When these firms discover a customer no longer physically resides in the United States, they may freeze American expat brokerage accounts or force expats to liquidate their investment holdings. This can be disastrous from a tax and long-term financial planning standpoint. U.S. expat brokerage account restrictions vary between brokerage firms. Some firms will let you keep your existing brokerage account once you have moved overseas but will not permit clients to open a new brokerage account due to residency in a foreign country. Other firms request that expat clients close all their existing U.S. financial accounts when discovering a client has an international address. The American expat account restrictions may even be different for taxable and retirement accounts (IRA, Roth IRA, and 401k). These international account restrictions are enforced in a variety of ways. Some non-U.S. residents have reported that they cannot access their U.S. brokerage account when they attempt to log in from a foreign IP address. Other U.S. banks focus more closely on the foreign address listed on the account. Sometimes an investment advisor must report that they have an American expat to their compliance department. Regardless of how the financial institution finds out, the account may ultimately face an international brokerage account restriction. There are several reasons for these U.S. expat brokerage account restrictions and no single factor can be solely to blame. The primary rationale is likely a combination of increased U.S. regulation of financial institutions and a perceived compliance risk that U.S. banks have about operating in certain foreign countries. This is especially true of the larger financial institutions who offer commercial and investment banking services. They do not want to expose these core banking functions to undue regulatory oversight by servicing expat retail clients. There is no U.S. law that says American expat brokerage accounts must be frozen or shut down when moving abroad. The decision to freeze an account is an internal financial institution policy. Rather than complying with these new international regulations, many U.S.-based brokers decide it is easier to close or freeze American expat brokerage accounts. This causes countless headaches for American expat investors who need a reliable place to grow and protect their wealth. One area where expat brokerage account restrictions are particularly burdensome is related to inherited IRA accounts. Oftentimes a parent or other family member living in the U.S. may pass away while the beneficiary of their IRA is an American living abroad. Many brokers will not open an inherited IRA account due to the foreign residency, which in an extreme case may force a taxable liquidation for a beneficiary that lives overseas. Transferring inherited IRA assets to an American expat may require a special procedure and extensive communication with an investment custodian. 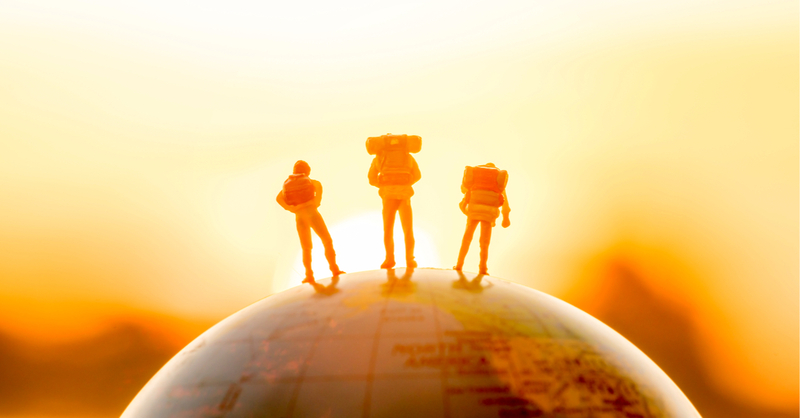 A specialized American expat financial advisor can add tremendous value when opening an expat inherited IRA account and can develop a more suitable international investment strategy. So how should American expats deal with this account restriction issue? Companies solely focused on brokerage operations (i.e. do not have significant commercial banking operations) have been able to continue working with American expats. The internal legal structures of these financial institutions may allow them to comply with international regulations related to working with clients in multiple countries and they will not restrict American expat brokerage accounts. Having a brokerage account frozen when living abroad may finally be the impetus to seek out a specialized American expat financial advisor who understands the unique cross-border tax and investing issues that global families must understand. Americans living abroad must pay close attention to their personal finances and understand how multiple tax jurisdictions interact. With careful planning and the right advice, American expats can invest in a compliant and tax-efficient manner. As a trusted fiduciary, Round Table strives to provide the most appropriate advice for our international and American expat clients, always putting their interests first. We explore the custodial options available to you and guide you to make informed decisions. As an American expat financial advisor, we invite you to meet with us to discuss your unique needs and how we can add value to your financial situation.